Post-tropical cyclone Leslie made landfall in Portugal bringing heavy rains and hurricane-force winds. 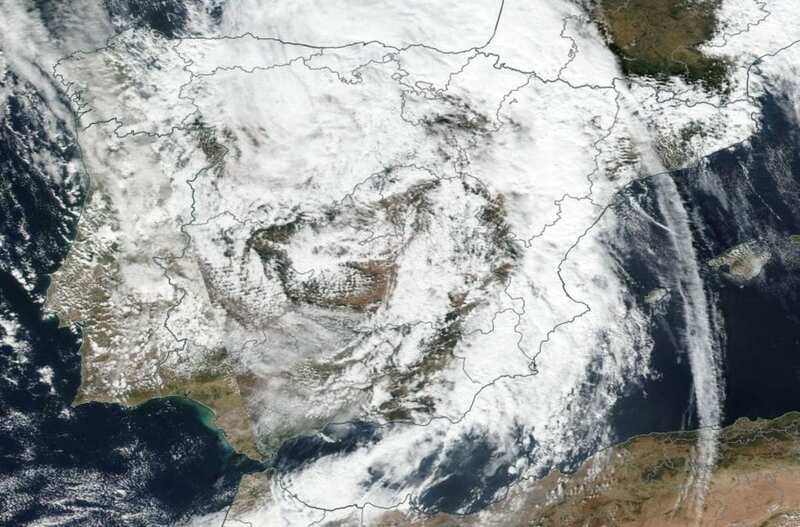 On Oct. 14, NASA-NOAA's Suomi NPP satellite spotted the remnant clouds over northern Spain. Post-tropical cyclone Leslie made landfall at night on Oct. 13, local time. Leslie's winds left 300,000 without power in Portugal and brought heavy rain. Lisbon, Leiria and Coimbra received the strongest winds. Suomi NPP passed over Leslie on Oct. 13 and the Visible Infrared Imaging Radiometer Suite (VIIRS) instrument provided a visible image of the storm. The VIIRS image showed a disorganized low pressure area over the Iberian Peninsula, covering Portugal and Spain. On Oct. 15, the remnants were bringing downpours to southern Spain and western Italy down to Sicily. The remnants continue to move east through the Mediterranean Sea.